This is where Crewton Ramone parts ways with most other programs including Mortensen Math. The method I'm about to show you although foreign to most adults, is a superior algorithm for subtraction. It makes subtraction EASY. 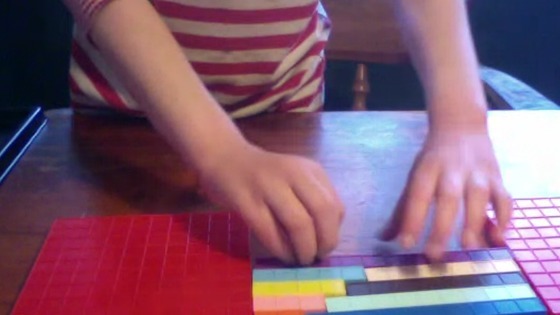 Using your base ten blocks students can SEE and experience subtraction. And then master a shortcut that makes their computation accurate and lightning fast. Any little kid will tell you, it's easier to count forward than it is going backward. So we're going to add to subtract...because really, all you can ever do is add a negative. 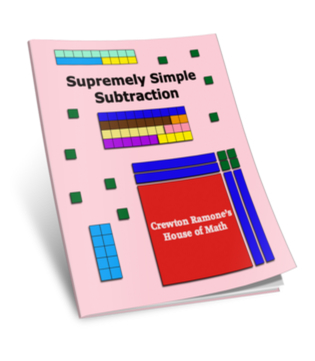 Download my book Supremely Simple Subtraction for FREE. 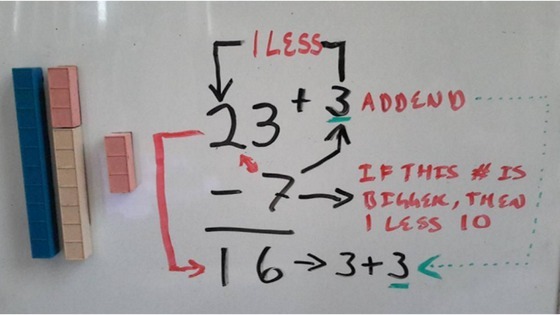 Building 45 addends facilitates this method for subtraction, because it allows them to see numbers are made up of other numbers so it becomes obvious when I take 7 from 11, I add 3 to the 1 to get four because I had to take the 7 out of the 10, I can't take it from the 1. This is a slight twist on "borrowing." Much more explanation and examples on the other side. But here is anoher example. If you remove the seven it's like adding three. You can start by teaching them to make change. Here is a worksheet for making change that will help. On the other side there Is a longer worksheet and several videos showing you how to use the addend method for easy subtraction fun. his makes math child's play. Success for a tutor using this method.